What a beautiful, peaceful place! 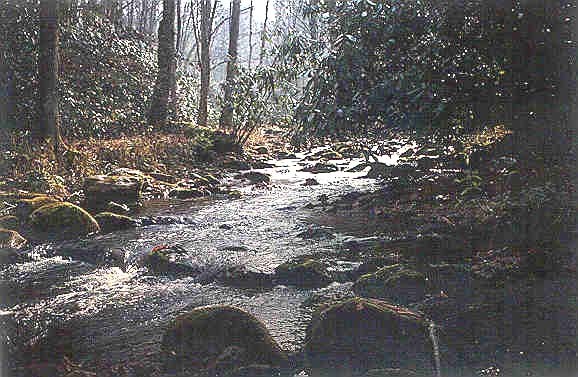 Even though Cataloochee Valley is part of the Great Smoky Mountains National Park, it is one of the least visited places. One reason for that is its remoteness. Getting there is not necessarily the same as a quick drive to the store. It is 65 miles from Gatlinburg, TN., and 39 miles from Cherokee, NC. Also, if you're not familiar with the area and you go there looking for a motel room or restaurant, you won't find one; but if you're the avid outdoorsman (or woman) and looking for gorgeous scenery, wildlife and camping (27 Campsites), then you will be in heaven. There are great things to do in this magnificent valley like fishing, hiking, horseback riding, and wildlife watching. 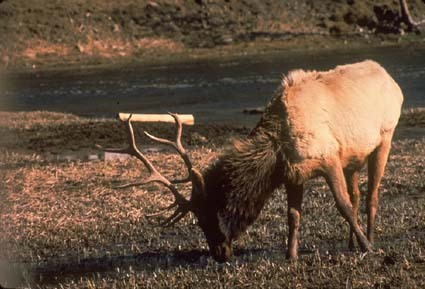 For example, in 2001, elk were released into the valley to try and revitalize the elk population in the park. It was done as an experiment, and now they can be seen roaming around the fields, especially in the early morning hours or in the evenings. Other wildlife that is frequently spotted by visitors are bears, deer, and turkey; and remember, you're in their house so please respect your surroundings. There is also a horse camp; you can visit www.recreation.gov for more information. If you like to hike, the wildflowers along the trails and throughout the forest are plentiful and gorgeous. There are several historic structures that have been preserved and can be toured by the public, such as a one room school house, churches, and several old homesteads. Just remember if you tour these magnificent places be kind and respect our past so the next wide eyed unbelieving child can ask you a million questions about how it used to be.